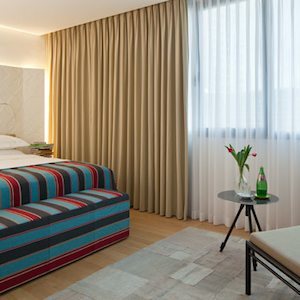 The nicest way to say it is that Tel Aviv still has plenty of room in its hospitality scene for stylish, contemporary boutique hotels. That said, the Mendeli Street Hotel doesn’t need to be graded on a curve. This confident refurbishment of a Sixties hotel, two minutes’ walk from the beach, would be a hit just about anywhere — no less for its friendly, sunny disposition than for its thoughtfully composed visual style. Mendeli Street’s look is bright, clean, warm; in this city, anything else would be a misstep. So would importing the furniture, with so rich a tradition of homegrown design. 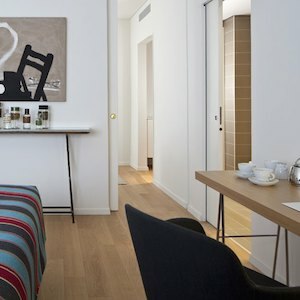 Here all the furnishings and artworks are made by Israeli designers and makers. The rooms are comfortable but not ostentatious — they start out a bit on the compact side — but they make the most of their space, and spread out at the high end. 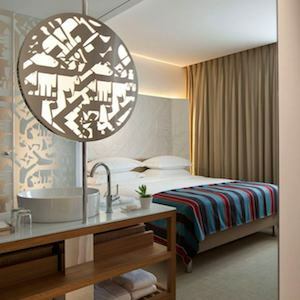 The bathrooms are impressive, equipped as they are with rain showers and bath products made with Dead Sea minerals. The restaurant, perhaps unusually, is a breakfast-only establishment, but it’s a breakfast that’s drawn rave reviews. Come lunch and dinner, you’re on your own, but there’s no shortage of options in the surrounding city, and no shortage of recommendations from the hotel’s staff. 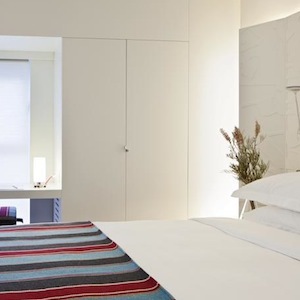 In short, it’s a perfectly cosmopolitan boutique hotel for a cosmopolitan city. Cribs are not available in this room type.